How Do US Presidential Candidates Weigh in on the Issue of GMOs? 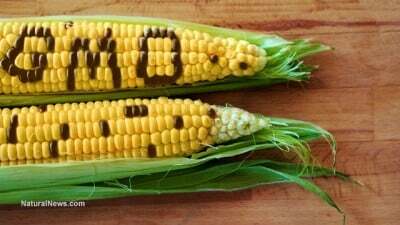 Republican presidential candidate Donald Trump recently reposted a tweet from a follower blaming his trailing numbers in a new Iowa poll on genetically modified corn that “creates issues in the brain.” The GMO issue looms large for the candidates currently in the running. Clinton has also been known to try to ‘pretty up’ public perception of GM foods, saying that the term ‘Frankenfood’ is a misnomer, and that they should be called drought-resistant crops, instead. Furthermore, as Secretary of State Clinton, according to CNN, has supported the DARK Act or TPP 45 times, even though she has recently come out in opposition of it. You can see the words come straight from Hillary’s mouth, here. Conversely, Jeb Bush has made it clear that he’s a huge fan of GMO’s. At a recent conference, Bush said he supported country-of-origin labeling for produce like the avocados and cilantro that go into his homemade guacamole, but said he said that he did not support the right to know if our food is genetically modified. “We should not be trying to make it harder for that kind of innovation to exist, we should celebrate it…” he continued. Former Arkansas Governor Mike Huckabee also seems to play it safe politically by saying that science is consistently showing that GMOs are safe. He thinks that a “Country of Origin” label makes more sense than a GMO label. While these aren’t all the 2016 presidential candidates, the front runners have definitely weighed in on the issue. Who do you trust to govern food safety in 2016? After Obama’s empty promise to label GMO foods, maybe the answer is none of them.